Campbell………Funeral services will be held at 9:30am Monday morning at the Wasko Funeral Home and 10am in Christ the Good Shepherd Parish at Sta. 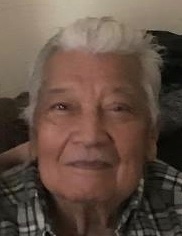 Rosa de Lima Catholic Church for, Mariano Rodriguez Sr., who went home to be with the Lord on September 6th, 2018 at the age of 90. Mariano was born on December 3rd, 1927 in Yauco, Puerto Rico and married Maria Rodriguez in 1948. In 1951, he came to Youngstown where he worked for Sheet and Tube and retired after 30 years. He leaves to cherish his memory his wife Maria Rodriguez; his 3 sisters Haydee Rodriguez, Eileen Irizarry and Ana N. Torres; his 3 children Anna (Luis) Rivera, Carmen Garcia and Eugene Rodriguez; daughter in law Carmen Rodriguez wife of his late son Mariano Jr.; 11 grandchildren Luis Rivera, Victor Rivera, Julia (Benjamin) Lugo, Sally (Eddie) Rivera, Damian Rodriguez, Michael (Athena) Rivera, Papo Garcia, Jalyn Rodriguez, Priscilla (Jose) Espada, Stephanie Rodriguez and Bryan Rodriguez; 21 great grandchildren; 6 great-great grandchildren. The Rodriguez family has entrusted their loved one to the care of the Wasko Funeral Home, where friends and family can pay their respects on Sunday evening from 5-7 pm. Visit www.waskofamily.com to view this obituary and send Mariano’s family condolences.